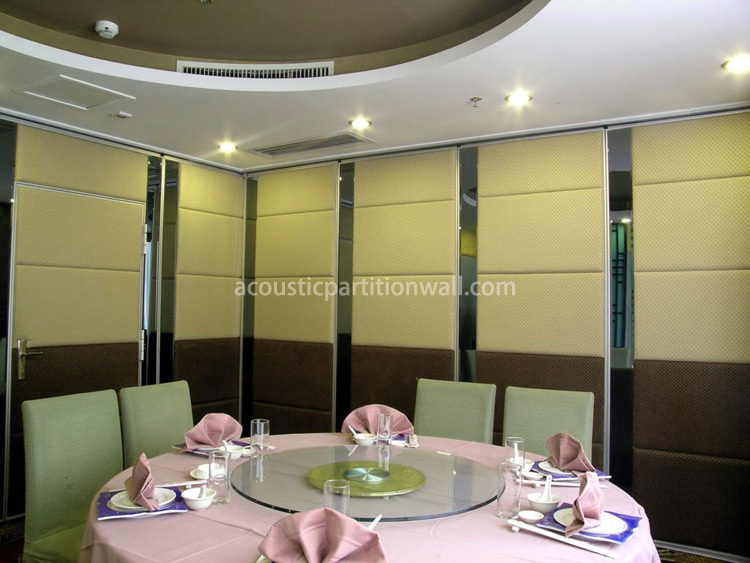 As the basic and economic version, pattern 65 hanging wall dividers are a ceiling mounted soundproof divider system, extending as a complete unit. 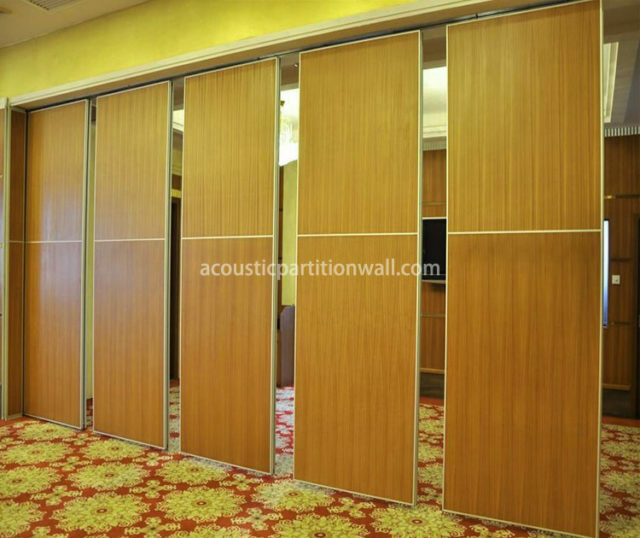 Hanging wall divider is easy to setup, providing efficient and convenient separation. 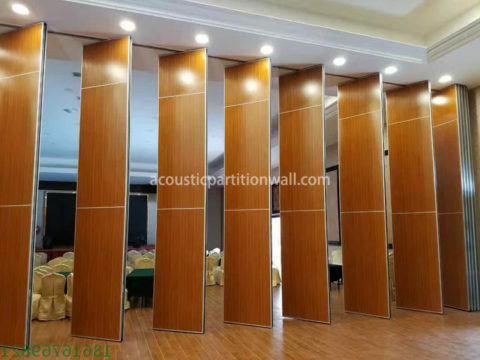 The hanging acoustic partition is widely used in hotel, tea house, exhibition center, function room, college, club, restaurant, art center, university, sports center, government office, the court, bowling center, school, golf club, and so on. 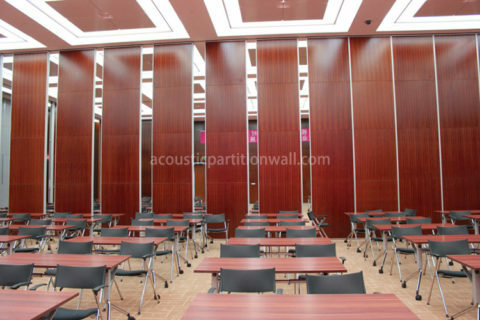 The acoustic structure of hanging wall partitions includes multi-layer board at the top and bottom of the partition and the acoustic wool inside. 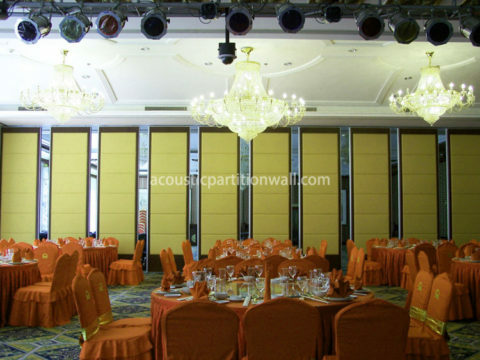 The acoustic performance is up to 30 STC, and the fabric acoustic panel and perforated panel can be used to reduce echo. The vinyl at all edges help to prolong life time and seal the sound. 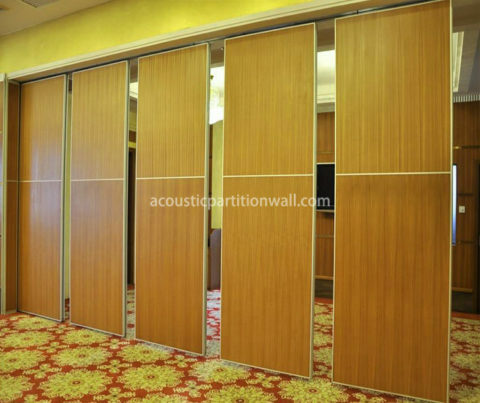 By moving the hanging partition wall into place or collecting them in a corner, you can divide a big room into smaller ones easily. In addition to the standard built-in mechanism, a variety of custom options are available, including MDF finish, melamine faced MDF finish, fabric finish etc. 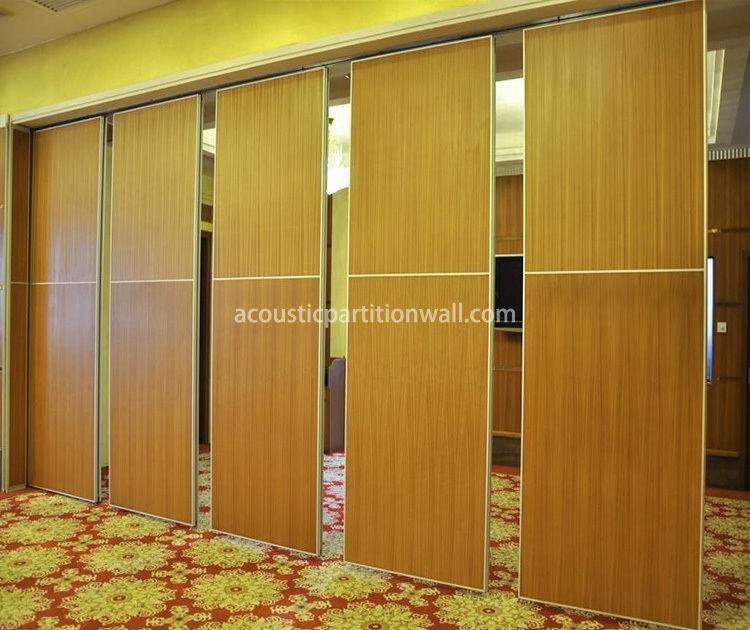 A rolling jamb board can be installed on the side of the partition. When the door is extended, the plate slides out of the storage pocket. The main benefit is to hide the partition when it’s collected.